roofers Archives - Pressure Point Roofing Eugene, LLC. 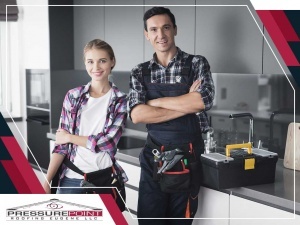 Pressure Point Roofing Eugene, LLC. The roof looks great and we think we were treated fairly. Pressure Point Roofing did an outstanding job on our new roof. Start to finish was under 3 days. They did a great job of cleaning when they were finished each day, and there was no dumpster in my driveway overnight. I would highly recommend working with Pressure Point Roofing. Pressure Point Roofing did a great job, and the crew was very professional. I would use them again. These guys are top notch. I had a leak in one of my rentals and needed it fixed asap. They were out within the hour and had the job done within 2. They were affordable, tidy and pleasant to work with. Highly recommend them. These guys were awesome to work with. I had them do a re-roof on one of my rentals. They did such a good job I had them do the home I live in. If you need a great roofing company that's affordable and stands by their work look no further then Pressure Point Roofing. The crew did a fantastic job! They were courteous to our homeowners while work was being done on the clubhouse. There were a few existing issues and Pressure Point was able to fix, replace, repair and prevent future incidents. All of the work was done in a timely manner with daily clean-ups and regular check-ins with updates and to make sure everything was going well for us. They installed our new roof and we couldn't be happier! We found them to be professional, dedicated, reliable and thorough, cleaning as they worked! 2 thumbs up from us! !